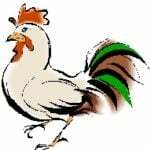 I can imagine there will be a lot of Rabbits who are anxiously awaiting the end of the year of the Rooster and to welcome in the year of the Dog on the 16th February when Chinese New Year takes place in 2018. Although there will likely be a lot of Rabbits looking forward to the year end, I can tell you with certainty there have been many Rabbits that I have spoken with throughout the year who have been enjoying an amazing year of the Rooster even though the Rabbit was predicted to encounter problems for the year; early planning with our free advice for Chinese New Year along with the right Feng Shui Annual Cures and a positive attitude can help to avoid a lot of problems that were predicted for them in 2017 and were able to enjoy some big successes this year. What is the conflict animal for 2018, year of the Yang Earth Dog? In 2018, the conflict animal for the year of the Yang Earth Dog is the Dragon which means that Dragons all over the world will have certain aspects of their life that are going to require care and attention in 2018, although there will still be a lot to look forward to which I will explain in a bit more detail below. 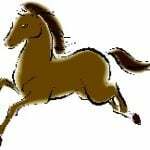 All 12 Chinese Animals will have certain areas of their life that will require care and also areas that are looking very promising and by following the advice for the Chinese Animals that I have written below, all Chinese Animals can make the most of their circumstances in 2018. 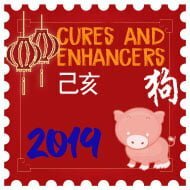 As we enter the year of the Dog, we will need some special cures and enhancers to make the most of the year and this is especially the case for certain animals. Anyone born in the year of the Dragon can be affected by the differing influences of the year of the Yang Earth Dog. 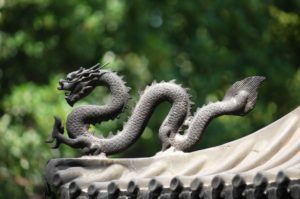 The Dragon is the conflict animal and will need to remain aware that they could encounter difficulties and will need to apply care when going about their daily life and also when making big decisions this year. If you follow the advice we give here, you can avoid many problems in our opinion so please try not to worry too much. Is Chinese astrology the same as western astrology? Chinese astrology and western astrology are two very different practices and should not be confused with each other. 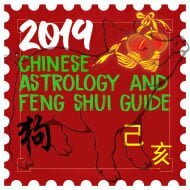 Chinese astrology is used to advise people on what cures and enhancers they can place in their home or office and how they can make certain changes to their lifestyle to avoid any problems that could potentially arise but also to enhance all good luck and fortune in their life. 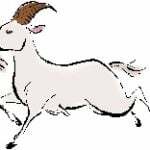 Chinese astrology is also about having the information in advance so that they can prepare themselves for the eventualities of the year ahead. For the majority of the time, prevention is the best cure and when you know what problems could be coming your way for the year ahead, you can take preventative steps to make sure that you avoid a lot of the problems predicted. We publish a great deal of information every year on here and during the year of the Dog, we would recommend spending time reading through everything so that you are able to make informed decisions in order to make your health, career, relationships, finances, studies and every other aspect as successful as they can be in 2018. When we know what could come our way in 2018, we are able to take our time and plan our next move to avoid bad influences and also when and how to make the most of the good influences. How can I make the year of the Dog as successful as possible? 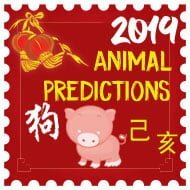 If you follow the advice below for your Chinese Animal prediction, you will be able to make the most of what the Yang Earth Dog year has to offer and avoid a lot of problems that are predicted for the year ahead. One of the most vital things you can have in your possession for the year of the Dog is a positive and determined attitude along with a strong desire to succeed, as this can play a crucial role in accomplishing your goals and enjoying a successful 2018. 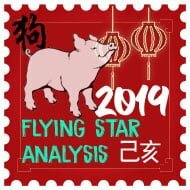 Another vital tool for the year of the Dog is the 2018 Flying Star Analysis for the year. 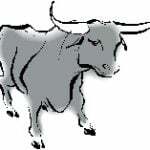 Let’s say that your Chinese Animal is the Goat and you read below in the predictions that the year ahead will bring problems into your life; by thinking positive and researching your Flying Star chart and enhancing the good areas and weakening the bad areas, you honestly can bypass a large amount of problems that could be coming your way. It’s truly amazing how you can uncover the cause of your problems just by going through the Flying Star chart for your home or office. If you are unsure how to map the Flying Star chart for your home, I would recommend taking a look at our Academy of Feng Shui Flying Star software as this will not only map your home, it will also give you a full analysis for every sector of your home or office. Superduperfastfengshuifastresults4u.com said that all Dragons will lose their jobs and go bald in 2018; are they telling the truth? Although it is possible that you could lose your job and go bald in 2018, chances are that the Feng Shui website that stated you will suffer greatly during the year of the Dog are trying to scare you in to buying their cures and enhancers from their site or request a phone call that they charge at £50 for 15 minutes. One thing that we always take pride in is the fact that we have always offered free solutions and advice with alternatives to our Cures and Enhancers and whilst this is not always as effective as placing the cures, we believe in helping everyone we can and let them make the choice of what they would like to do to protect and enhance their home or office. 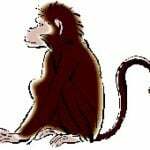 We have been writing Chinese Animal predictions for the last eighteen years and while we always state the facts, we will always offer a solution to any problems that may arise. Please take the advice that you read with a pinch of salt and have a fantastic year of the Dog. “It’s impossible to map out a route to your destination if you don’t know where you’re starting from”. 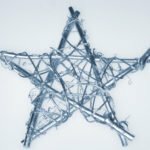 I would recommend that you prepare early with your Annual Cures and Enhancers as soon as possible as it is vital to get this right and be prepared although please remember not to place your cures for 2018 before the 4th February as this is the beginning date for when the Annual Flying stars for 2018 are present (solar Chinese New Year). Every year, about a week before Chinese New Year, we get a huge influx of phone calls and emails saying they forgot how close Chinese New Year is and that they need to order the Cures and Enhancers for the year ahead and they still haven’t gone through their flying star chart or read through the other articles which can lead to mistakes being made so I will repeat that you should try to prepare for Chinese New Year as early as possible as this can allow you to have everything in place and avoid mistakes and set the foundations for a trouble free year. You can also make sure that you check back at the beginning of every month on here for our monthly updates to be even more prepared for the year ahead. If you want to be fully prepared, you could use our professional Flying Star Feng Shui Software or 2018 Tong Shu Almanac Software which will give you total control on an annual and monthly basis. This year we have combined the software with our annual cures kit to give you even better value and savings. Those born in the year of the Dragon may be affected by the conflicting influences of the year of the Yang Earth Dog (Wu Xu) year. When I say they may encounter difficulties, please be aware that those born in the year of the Dragon are aware of potential difficulties they may encounter during the year and take extra care in whatever they do and avoid taking undue risks. The degree of influence varies from one person to another. If you are unsure of your Chinese Animal, take a look at the link below to use our free calculator and characteristics of each Chinese Animal. In China, the solar calendar of the Wu Xu (Yang Earth Dog) year starts on 4th February 2018 at 05:38 China time. In the UK, the new solar year starts on 3rd February 2018 at 21:38. In Washington USA it will start 3rd February 2018 at 16:38 and if you live in Barcelona you would place your cures at 22:38. Every year we put together a page on Chinese New Year world times 2018 that will help you confirm the times and dates for the Chinese New Year’s Solar and lunar. This is not the Chinese New Year 2018 that you would celebrate with friends, family and loved ones; please check this website for further details. You are a yang wood Tiger and if follow this link you will find everything you need to know about 2019. Hi! I was born July 25,1966 and my husband aug.18, 1968..we’re just started our business and accident happened recently to our working team…kindly give us some ideas to block misfortunes and negativities that always threatens us….pls help us.. God bless! The best advice I can give without actually visiting you and conducting a full report would be to read through the 2018 Flying star analysis and go round to make sure everything is as it should be; you should notice a huge difference after making changes. It all depends on their Chinese animal; if you take a look at the page below, you can find out what your brother and his partner’s Chinese animals are and then check their predictions for the year. Your husbands best facing directions are: north, south, east and southeast. Your best facing directions are: northwest, southwest, northeast and west. What can you suggest Dragons do and may have like charms to be a precaution &/or protection for bad luck, misfortune in the the year of the dog 2018? Your protection animal is the rooster so I would keep a Gold plated Chinese Animal protection Talisman or an Animal protection charm. I have copied the links to both below. I am a Dragon myself and am not worried about the year of the Dog; now that you’ve read the predictions, you can make changes where needed.